Director Mike Pinner said it has been selling exceptionally well and they have had orders from Iceland, France, Denmark, New Zealand, Ireland and USA. Enquiries have also come in from Australia, the Far East and Europe as well as a steady stream of business from the UK market. The Uniball can be supplied as 240 volt or 415 volt supply and has a variety of uses such as mixing bakery powders, bakery recipes, coating flavours onto nuts, marinating meats with sauces and flavours, mixing medical powders, mixing various tea leaves and coating oils on to vegetables. With a 225 litre capacity it runs on variable speeds from 12 rpm to 24 rpm and has an electric motor power tilt to empty. 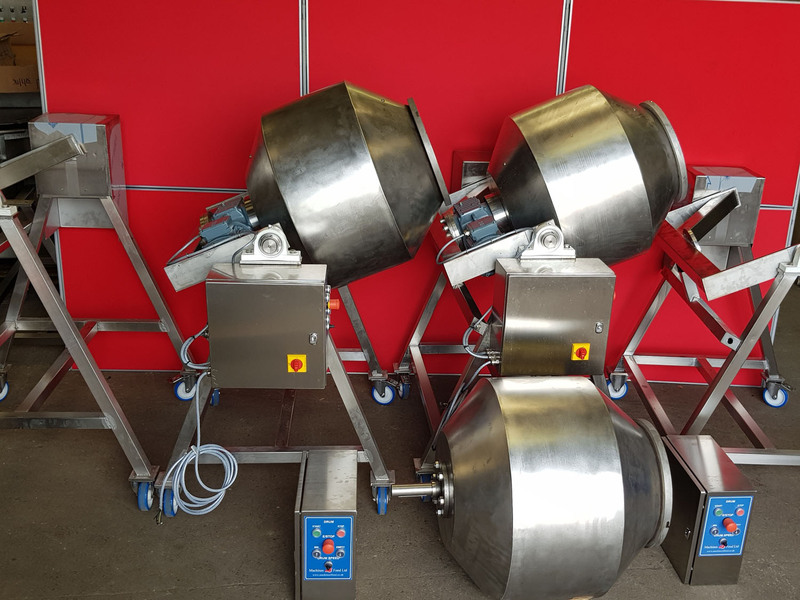 The machine comes with an optional lid, is mounted on wheels for easy movement and the drum is manufactured in 316 stainless steel making it a good option for the high risk and high acid product range. It empties to suit a standard 200 litre tote bin.